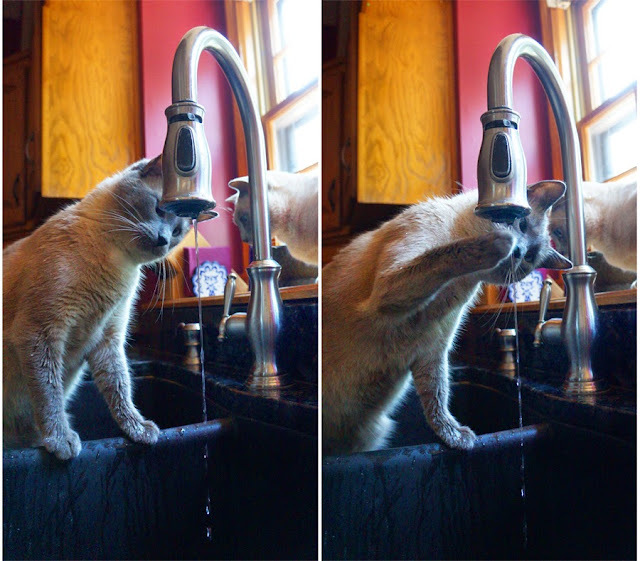 Maxwell, endlessly fascinated by water. Faraday: *shocked look* Dood, you're...getting WET!" 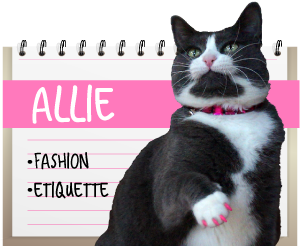 Join the Wednesday Pet Blogger Hop by clicking HERE and be sure to visit other bloggers HERE! We like our fountain, but we don't think we'd stick our head under it, MOL! Have fun, Maxwell!! Maxwell you crack us up. You can come over here and have my bath anytime. Have a wonderful watery Wednesday. Oh my, you look like you're showering!!! Fluid dynamics - so fascinating! Boyz and water. I'll never understand. I guess he wouldn't mind going for a swim in a swimming pool! We're both fascinated with water too. Aiti, mommy's TOTALLY cracking up over here!! Tutu does the exact same thing! Hahaha. When Mommy won't turn on the tap for her, she'll splash all the water out of the water bowl. MOL. Maxwell, you are getting WET!! Doesn't that bother you? We LOVE water! That's one thing we apparently didn't get from our mama Mimi, though. ewe guys knead sum fish in that sink....few hundred pounders oh flounders shuld due de trik !! Maxwell do you also get into filled bathtubs sometimes I do it is very interesting tasting water. Whoa, Maxwell, you're brave with the vertical water! We are only brave enough for horizontal water. Oh my he is absolutely hilarious! What a character! Maxwell, I like your style. 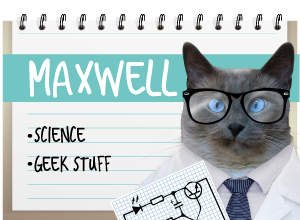 Oh Maxwell, that is so darn cute of you...you are a character for sure! Oh you darling. 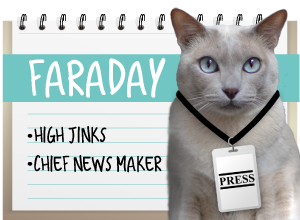 And I love the look on Faraday!! !